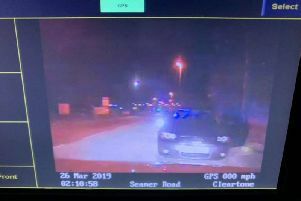 A woman has been caught drink driving in Filey. A woman who has been caught drink driving in Filey could see her licence taken away. She was arrested last night after police spotted a vehicle being driven erratically. Although she failed a roadside breath test, she was found to be just under the limit in custody. However, as she also did not have any tax or insurance, her vehicle has been seized. She has been reported and ordered to pay a fine and recovery costs. As she currently has six points, she now faces losing her licence by gaining another six from the latest offence. Last night police also stopped a driver who turned out to be a regular cannabis user.